I love the idea of meditation, and I've "tried" it several times in the past. I say try, because I never put much effort into it, and the most I ever lasted was about a week. Then I met davidji, and my entire perception changed. He is a meditation master who apprenticed under Deepak Chopra, and was a lead educator and dean of the Chopra Center. 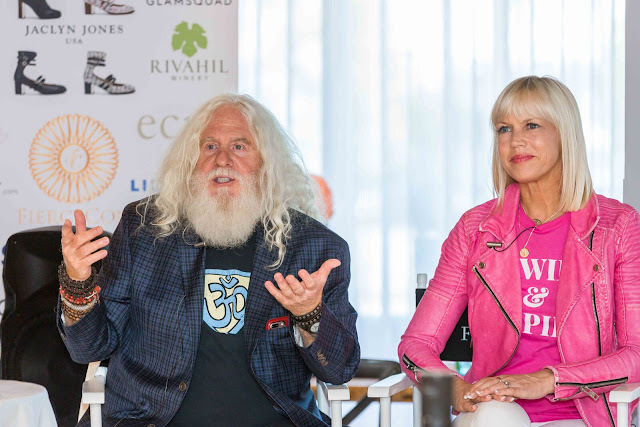 Last month I was fortunate enough to attend an hour long meditation with davidji at FierceCon 2018. Afterwards, he spoke with us about the importance of meditation, and I decided to give it another try. davidji's mantra is RPM - Rise, Pee, Meditate. He explained that starting the morning with quiet reflection creates a huge difference in how the rest of your day goes. He threw out some numbers, that I've already forgotten - oops, about the positive impact of peaceful stillness rather than negativity and stress (hello, checking email and social media first thing). 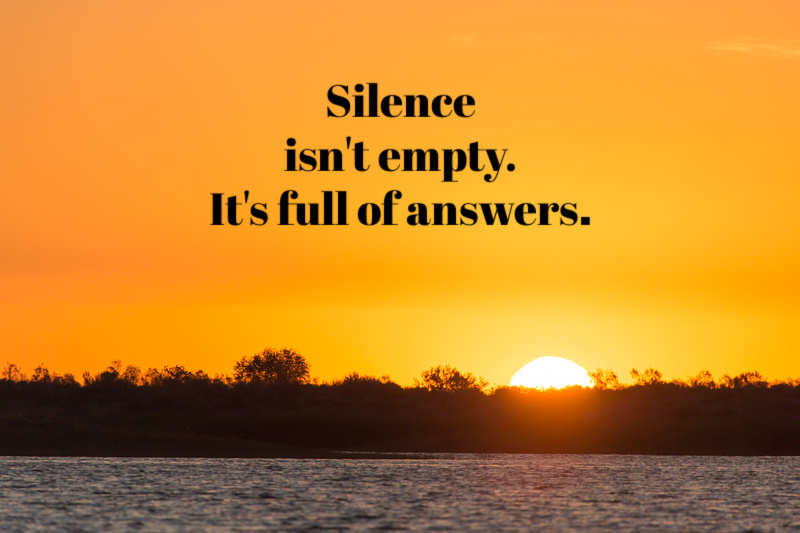 "Starting our day in stillness and silence sets our course for every single moment that will unfold throughout the day.When silence is the seed that we plant to begin our morning, then we move through each interaction, each conversation, each scenario with a bit more patience, a bit more acceptance, a bit more tolerance, and a bit more peace of mind." God knows I can use more patience and peace of mind. So armed with this new knowledge, I decided to make a commitment to meditate every single morning for a month. I signed up for the Headspace app because I knew I'd need help and guidance. (Great news - you can sign up for a free 30 day trial to see if it's right for you). The first week was hard. I'm practicing breathing meditation, rather than mantra meditation, and most days I found myself drifting into thoughts during most of the practice. But I'd promised myself to stick with it, so I pressed on, and each day got a little bit better. I'm happy to report that just this morning, I finished day 30 of consistent, daily meditation. And you know what? It works. It really, really works. Generally, I'm a stress ball. "Hold on, I've got to overthink about it" pretty much sums me up. And this last week was way up there on the stress scale. But I was cool, calm and collected. I stayed positive, I took cleansing breaths when things got too much, and not once did I dissolve into a puddle on the floor. I've surprised myself with the difference meditation has made. Even though I'm getting up a little earlier, I feel more energized and focused. I'm coming at things from a positive place rather than the negative. I'm mindful of my thoughts, emotions, and how I impact others. And after only 30 days, I can't imagine stopping. I'm excited to see what 60, 120, 365 days might bring. Ha - you probably won't even recognize me anymore. Do you meditate? Any tips, tricks? And if you don't, what's stopping you? 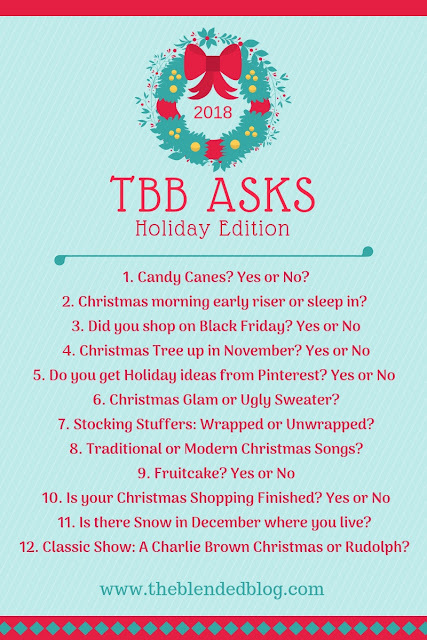 Be sure to join us on Monday for TBB Asks: Holiday Edition. 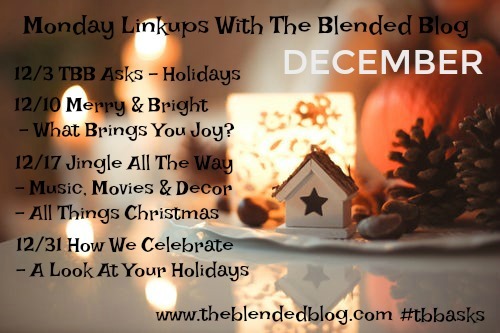 And the rest of the month for our Monday Linkups. I do meditate but not on the regular like I should and want to. So proud of you for doing 30 days consistently! I completely forgot that I was trying to meditate...I'll have to check out that app. Have a great weekend! Good for you Lana!! I've been doing this yoga challenge for 3 months, and there's a lot of similarities. I'm not always good about putting the day to the wayside while I practice, but when I do, it's fabulous!! This was an interesting read. I’ve never tried meditating as I have a hard time turning my brain off. Maybe that’s a sign I should be doing it! The question is are you going to continue now that your 30 days is done?? At one time I was certified in meditation and hypnosis. Used guided imagery all the time when I worked in oncology; it helped my patients relax like nothing else could. Such a powerful tool! Congrats to you Lana for doing it! I've tried meditating but my mind always seems to drift. I should download that app and set a 30 day challenge for myself! Funny because Cassidy was telling me last night over dinner about how he started December in with a regular meditation routine. He said even if two minutes of the 30 he allotted are successful, it makes a big impact on his day. He has some app and is reading a book about an expert. I'll have to find out more! I love the mantra - RPM!!! What a great way to make sure you meditate each day. I DO meditate, but not as regularly as I would like. It always makes me feel great, so I don't know why I don't do it more often. Maybe with this new mantra, I will! Thank you!